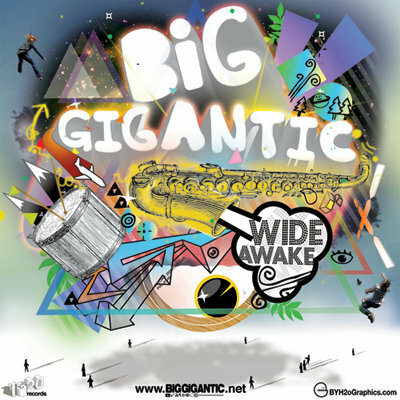 Big Gigantic is the brainchild of Boulder, Colorado’s own saxophonist/producer, Dominic Lalli, and drummer, Jeremy Salken. Conceived in 2008, the duo found their niche and created a name for themselves in the electronic music scene. By combining vibrant jazz melodies over pulsating dance beats, Big Gigantic delivers an innovative, distinct sound that’s all their own. Their new dubstep production The World is Yours is one of the best I’ve heard. Dawid Kabaciński a.k.a Sikdope is a 20-year old music producer from Poland. Music was always present in Dawid’s life, thanks to his parents’ help he attended the music school in Koszalin, where he took piano, saxophone and singing courses. For 4 years he was the lead singer in a successful rock band, having played many concerts in Poland as well as abroad. At one point in his life, fascinated with electronic music, dubstep and dnb in particular, he decided to become a producer. Posted on May 18, 2011, in Dubstep. Bookmark the permalink. Leave a comment.